Jennifer from Sugar Spice & Glitter is back for her monthly feature! Last time she stopped in she told us how to make Homemade Garbage Deodorizer Pucks, and she’s back today to tell us all about her Homemade Window Cleaner, and I can’t wait to share it with you! I’m slowly going through my cleaning supplies and replacing everything with homemade cleaning recipes. 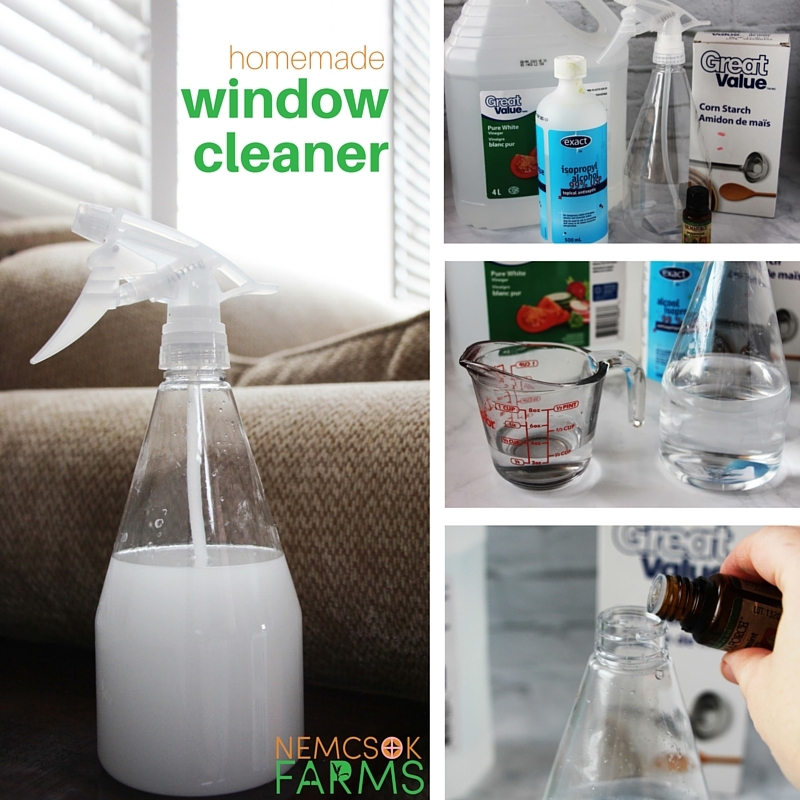 This month, I ran out of glass cleaner & decided to try my hand at some Homemade Windex. 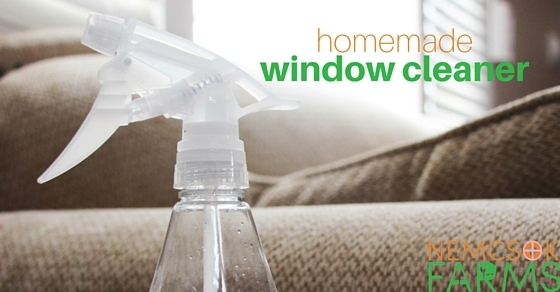 This recipe is for a streak-free window and glass cleaner that smells fresh & contains no harmful chemicals. While I used rubbing alcohol in my recipe, you can swap that out for vodka if you’d prefer. Either way, the recipe should still be treated like a cleaning solution and kept out of reach of children. The most expensive ingredient is the rubbing alcohol which I’ve since found out can be purchased at the dollar store! 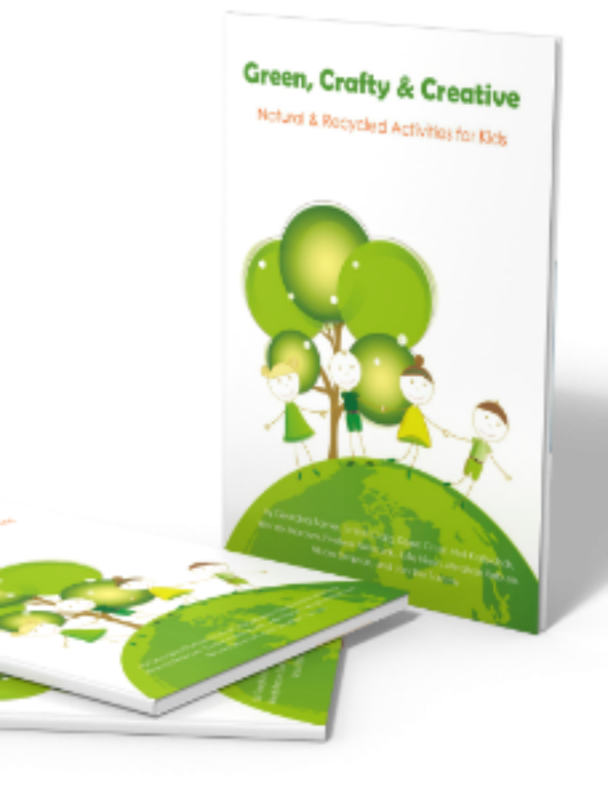 You can also use the remaining rubbing alcohol as a “Goo Be Gone” alternative or even incorporate it into some cute art projects with the kids! 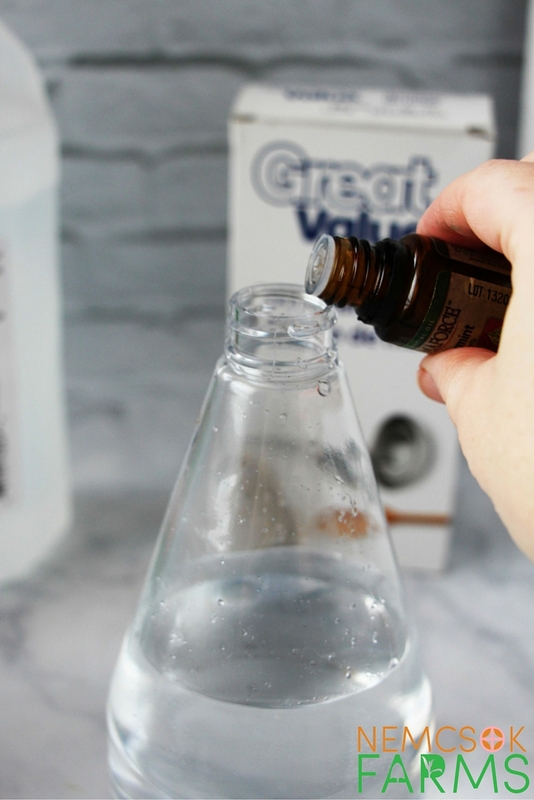 I used peppermint essential oil because I love the fresh, clean scent it leaves after using it, but you can swap that out for any essential oil or skip that ingredient altogether. There are no benefits to using it in this recipe other than the scent since you are using also the corn starch (as they both contribute to the streak-free nature of this recipe). 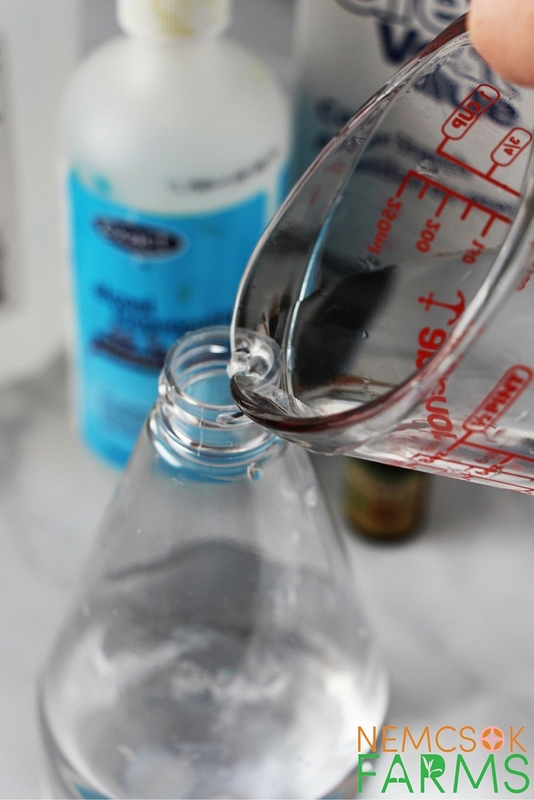 A bottle of this homemade glass cleaner costs less than $2 – and that includes the bottle! Refills will cost less than $1. Put on the nozzle and give the solution a good shake to distribute the corn starch. Remember to give the bottle a shake before every use, as the corn starch will settle. Adding essential oil or food dye are optional. Some will enjoy the addition of food dye (and it helps remind you which solution is which if you haven’t labeled the bottle) but I would be too afraid of it dripping onto furniture and staining, so I left that out. 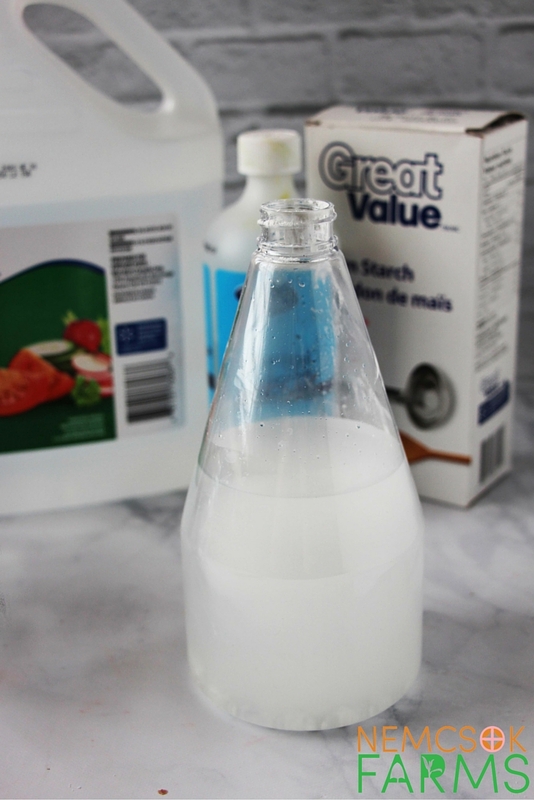 Shake the bottle vigorously to redistribute the corn starch, and then spray sparingly onto your glass or window surface. 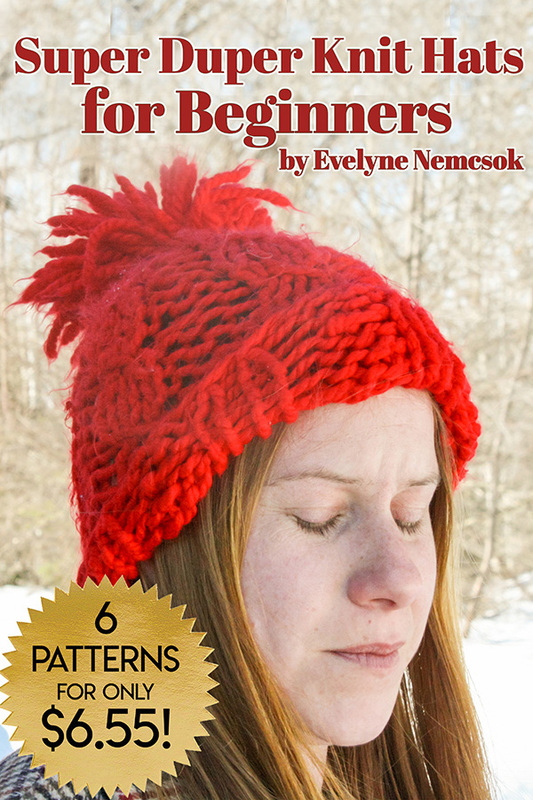 Let it set for a moment, and then wipe off with a rag or paper towel. Some people swear by using newspaper but we never have it in the house so I wasn’t able to try. 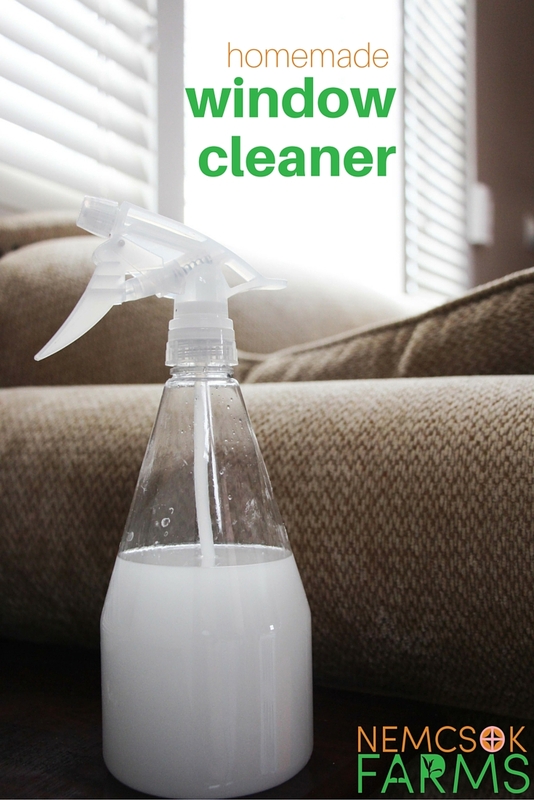 Have you tried making any homemade cleaners? 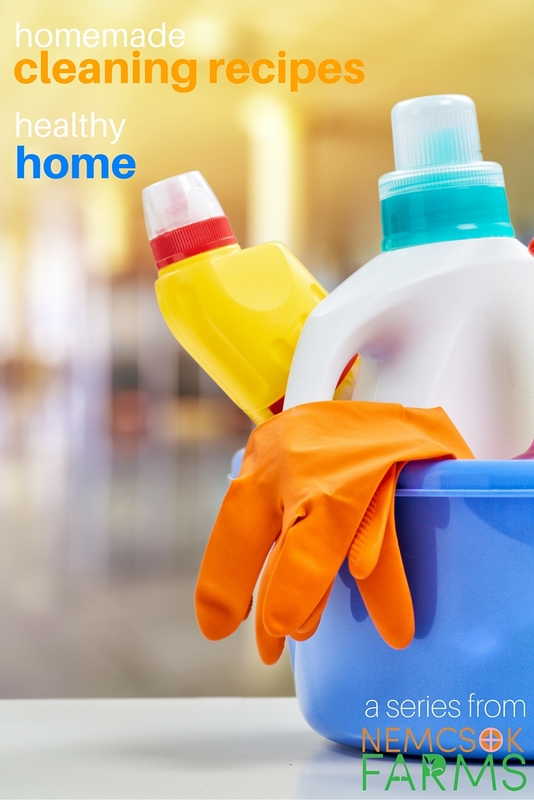 Which cleaning recipe would you like to see next? Follow Jennifer on Facebook, Instagram, Twitter and Pinterest and of course, don’t be shy – go visit her at Sugar, Spice & Glitter she’d love to see you!